Radio Margaritaville SiriusXM CH. 24 debuts Jimmy Buffett’s complete Buried Treasure album tomorrow morning, November 15th, at 9 a.m. Eastern! 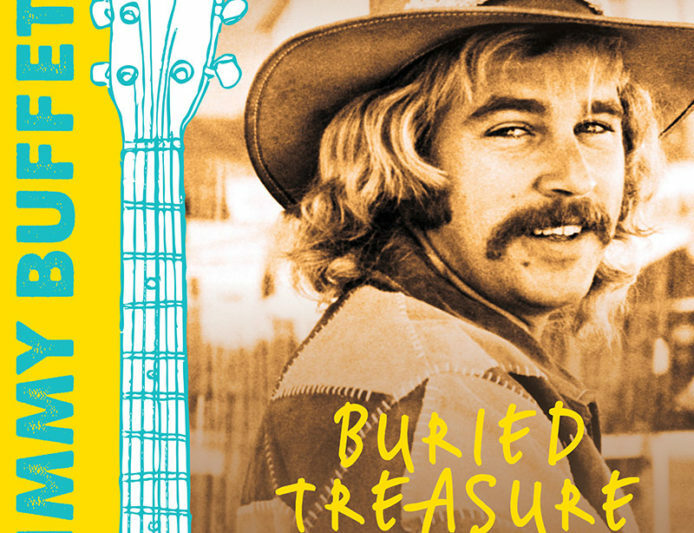 Lost, then found, Jimmy Buffett’s Buried Treasure is exactly that – a unique collection of acoustic songs that Jimmy wrote and recorded in the early days of his career, but then were lost for many years. Join Radio Margaritaville and Jimmy Buffett as he pilots you through his new album sharing songs and stories from his early years. Wednesday, November 15th at noon, 5 p.m. and 8 p.m.
Thursday, November 16th at 7 a.m., 11 a.m., 3 p.m. and 9 p.m.
Saturday, November 18th at 8 a.m. and 6 p.m.
Sunday, November 19th at 9 a.m. and 1 p.m.
A few years ago, when legendary Nashville producer Buzz Cason sold his recording studio, there was some cleaning up to do. That is when Jimmy learned that they had found a sizeable collection of 1⁄4-inch tapes that were the original demos of songs Jimmy had written and recorded for Buzz when he was writing for his publishing company in the late 60’s. It turned out that there were over 125 songs in that pile of tape boxes. In addition to the song demos were also the first recordings Travis Turk had engineered in Mobile, and that is where the whole story of Buried Treasure begins. Buried Treasure will be available in standard and deluxe packaging. Both releases contain 11 acoustic tracks and song-by-song narration by Jimmy Buffett. a bonus 20-minute documentary DVD: The Story Behind Buried Treasure. Buried Treasure, Volume One, was produced by Travis Turk and Milton Brown in 1969, with narration and track arrangements produced by Will Kimbrough (2017). Due to be released on November 17 on Mailboat Records, pre-order is available now here.